The new Samsung Galaxy Tab 10.1 tablet unfortunately doesn’t come with its own USB port but following in the same vein as Apple. Samsung have now unveiled new USB adapters that can be plugged into the Galaxy Tab’s 30 pin port to allow USB devices to be connected. Once connected the new USB port will then allow you to attach USB keyboards, mice, thumb drives, external hard drive storage and anything else with USB connectivity to your Galaxy Tab 10.1. 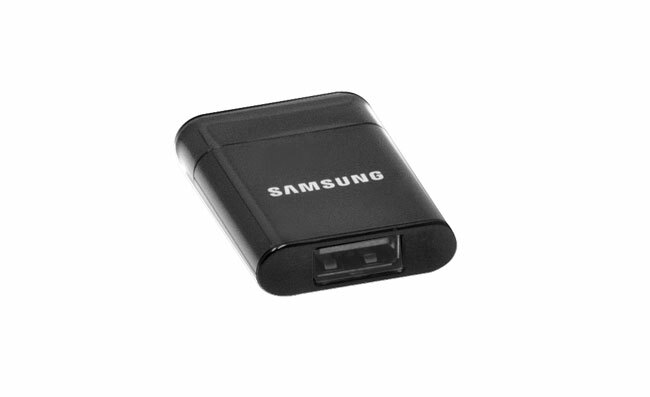 Also available separately is the Samsung 30-Pin to USB Charging Data Cable, which has been designed to enable users to connect their SAMSUNG Galaxy Tab’s to compatible PCs, allowing the Tab to become an external modem while also charging and syncing your data.